March 16, 2016 - Official Mino merchandise now available! You can now bring Minos into your household! 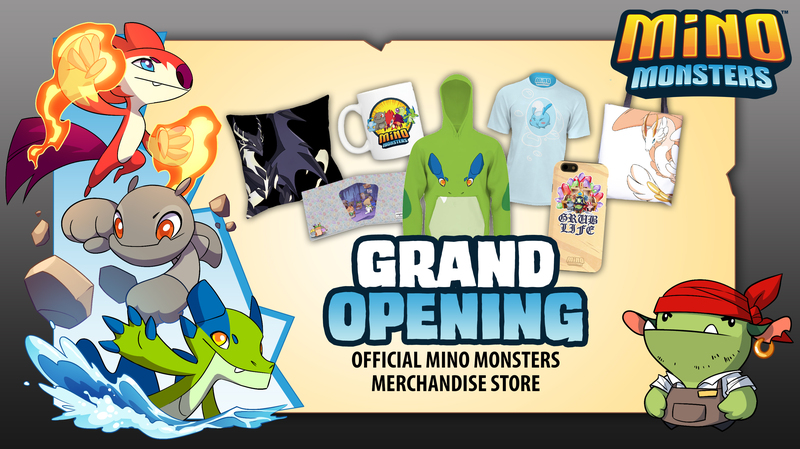 The official through Mino Monsters merchandise shop is now open! Wave 1 of our releases includes sweet items such as sweaters, t-shirts, wallets, mugs, pillows, tote bags and phone cases. Later releases will include colletibles such as Mino figurines! An "imposter" Santa has been reported lurking around Winter Island. Why is Elderbear freaking out over this? 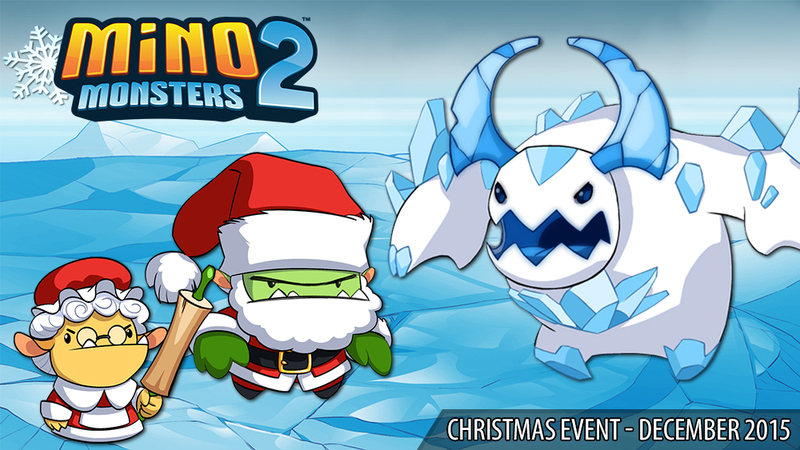 From December 17, 2015 through January 6, 2016, help defeat the "imposter" and its cold-hearted companions to earn Winter Keys for some frosty loot including new winter equips, candy and berries needed to tame and evolve the new winter Minos Snowaddle and Snowbro into Epic form Snowbrute! 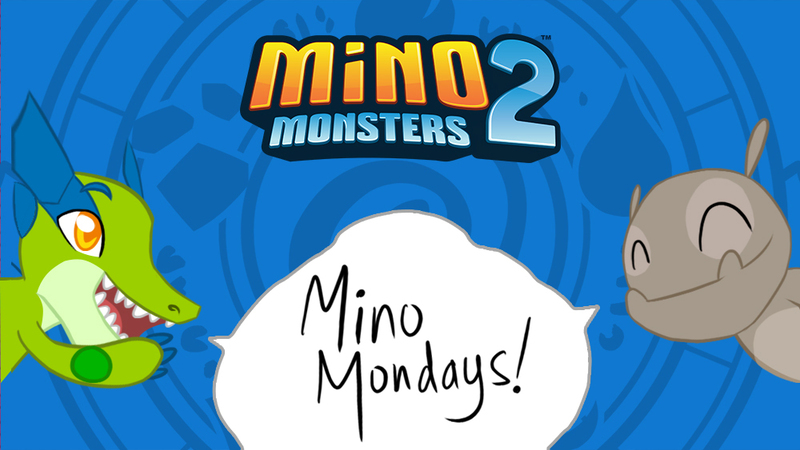 November 8, 2015 - Mino Mondays: Now open for registration! After a 2+ years hiatus, Mino Mondays producer "Youngster" has announced intentions of bringing back everyone's favorite weekly Mino Monsters podcast! The podcast series last ran in 2013 and featured many notable people in the Mino community such as the top PvP players and even guests from Mino Games themselves. 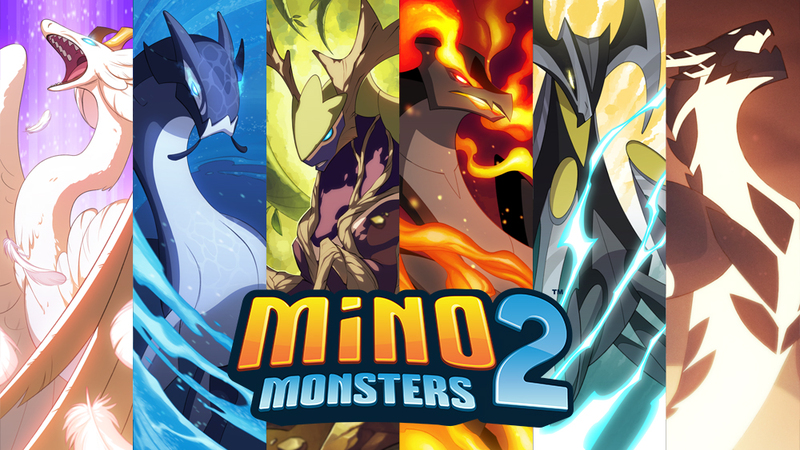 Now, with Mino Monsters 2 released worldwide with frequent live events and updates, there are many new topics, theories, and stories to share with the community. Matty B. has also confirmed he will be making his return as host of the podcast. MinoSource will continue to host the podcasts right here on this site! Mino Mondays is also looking for volunteers for Audio editing and mixing as well as fans who would like to guest on the show. Click here to apply. We will soon post past podcasts on the site in preparation for its return, so you'll be able to kick-back and relive those great moments, or for those who are new, listen to them for the first time! Ghost Pirates have arrived at the Windward Isles and docked their ghost ship on the phantasmic Skull Island. Not sure why, but the pirates over at Candy Cove don't seem too happy. 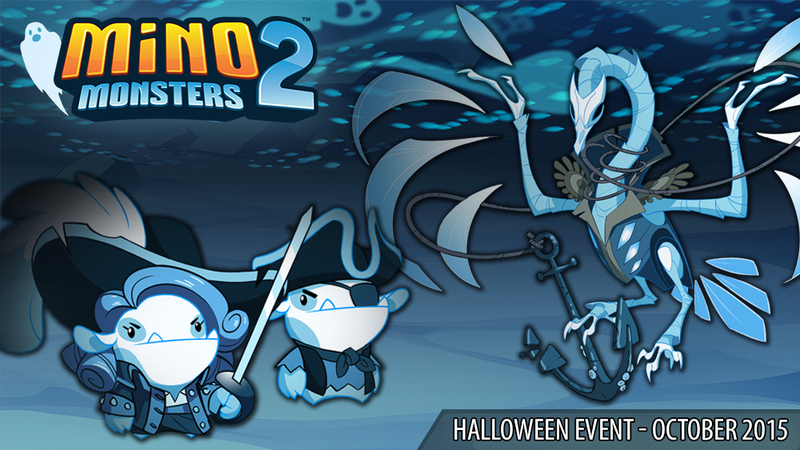 From October 23 to November 2, help them defeat the Ghost Pirates to earn Ghost Keys for some sweet pirate treasure including new ghost equips, candy and berries needed to tame and evolve the new ghost Minos Skulby and Parraith into Epic form Avianchor! If you have a Blossums on your team, you will be granted limited access to the Creepy Cavern. 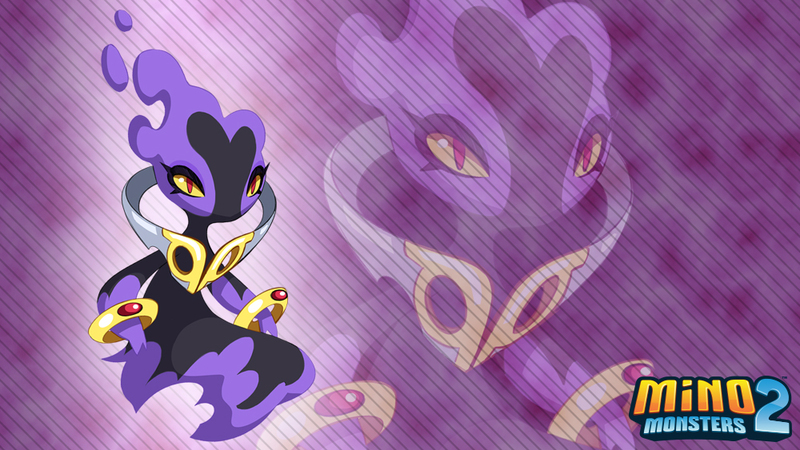 Here, you can battle Blossums's Ultimate form, Ghost Blossums. Defeat it 35 times to automatically tame it for yourself. Like all Ultimates, it will be able to reach a max level of 75. 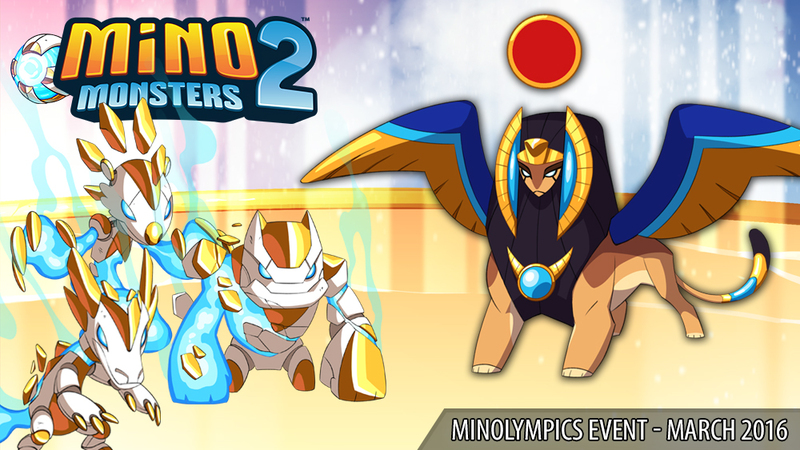 Don't miss out on taming these limited-time Minos! October 8, 2015 - A new Mino materializes! The new Air Mino Astrodrift will be making its debut in an upcoming Island. Its clear body allows it to pass through walls. The ability to levitate keeps it from falling off Air Island! The rings around it's wrists help it manipulate magic. Mino Monsters 2: Evolution has launched worldwide and is available on both Google Play and the App Store. Discover 100+ monsters in an expanded world of battles, quests, guilds and PvP. Take your adventure to the next level as you learn about the return of a sinister threat that has been lurking in the Windward Isles since ancient times. Only the power of Evolution and teamwork can help defeat such darkness and chaos. Expect new monsters, islands, and event in the weeks to come! 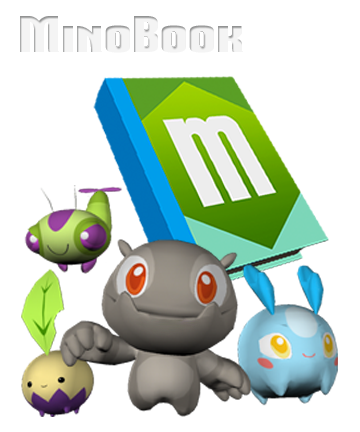 As all have surely noticed, MinoSource is now presented with a new look to accomidate for Mino Monsters 2: Evolution. I've updated the MinoBook database to include details on all the monsters, both old and new. If you're interested about nature mechanices, visit the Natures page to learn more about how the nature archetypes affect your monsters stats. As many players enjoyed the chat on MinoSouce, a chat has also been added into the game so you can chat wile playeing without having to leave your screen. We will be keeping you update with all the latest news and events right here on MinoSource, so bookmark this page and stay tuned!